On December 22 the American Civil Liberties Union filed a lawsuit against the Trump administration in an attempt to force the release of newly established rules related to the U.S. military’s secret program of killing. The program was established during the Obama Administration and now expanded under Donald Trump. Recent reports from the New York Times (1, 2) allude to the fact that the Trump administration is loosening the already flimsy protections established by the Obama admin. These protections were reportedly put in place to minimize injury and deaths of civilians. The ACLU states that two recent articles from the New York Times and The Atlantic spurred on the lawsuit. The New York Times investigation reviewed U.S. airstrikes from the beginning of the fight against the Islamic State in Iraq in 2014 to December 2016. The report found that the U.S. military killed civilians 31 times more than it admitted. The second piece was a response to the Times‘ investigation by Robert Malley and Stephen Pomper, former national security officials in the Obama years. The men admit that the Obama administration continued the global War on Terror by keeping the infrastructure in place. The men also note that protections for civilians were inadequate, as were promises of transparency and reparations for victims. In October, Activist Post reported that a newly signed Presidential Memorandum would normalize the use of drones in American life. The memo, titled “Unmanned Aircraft Systems Integration Pilot Program,” allows certain communities to be exempt from current safety rules as they test drone operations. Under the Trump administration the use of drone bombings are increasing and airstrikes have already increased. Also, in an apparent effort to fight illegal immigration, the U.S. Customs and Border Protection will be using drones to conduct aerial surveillance on American citizens on the border. These actions have led privacy groups to ask the U.S. Senate if images gathered by the CBP’s drones will be connected to the agencies facial recognition database. the Trump administration is killing people in multiple countries, with strikes taking place at a virtually unprecedented rate—in some countries, the number has doubled or tripled in Trump’s first year in office. The American public is generally aware of conflicts taking place in Iraq, Syria, and Afghanistan, but remain largely ignorant to the military operations taking place in Somalia, Pakistan, Nigeria, and across the African continent. These operations have lead to an increase in civilian deaths. Another point that can not be ignored is the fact that the U.S. government is bombing people in nations which are majority Muslim. These are the same countries subject to the so-called “Muslim ban.” This means there are likely people who have become refugees in an effort to escape the U.S.-led wars on their homeland and then they are turned away or treated like criminals. “At the same time, it (the Trump admin) refuses to officially disclose critically important information about where it is conducting strikes, against whom, and with what consequences,” the ACLU writes. Throughout the Obama administration the ACLU fought legal battles over the release of Obama-era documents related to the secret kill list. The Presidential Policy Guidance (PPG), sometimes known as “the Playbook” or disposition matrix, guided the Obama Administration’s decisions on the U.S. government’s drone assassination program. The PPG was originally released in May 2013, but the full content of the document has remained a secret. The public has only seen a “fact sheet” which describes the document. In February 2016, U.S. District Judge Colleen McMahon ordered the Obama Administration to hand over the PPG and other documents related to the targeted drone assassination program for the court’s review and possible release to the public. The three documents relate to the law and policy that govern the controversial program. The ACLU has also been fighting to uncover new information related to the so-called Presidential Kill List, also known as the disposition matrix. The kill list has been the subject of legal battles for years. New York Times journalist Charlie Savage sued the Obama admin an attempt to reveal the government’s legal justifications for assassinating terror suspects without a trial. Specifically, Savage sued the Obama administration in an attempt to obtain details about the murder of al-Qaeda affiliated cleric, Anwar al-Awlaki. Al-Awlaki was born in New Mexico and eventually found himself on the U.S. government’s radar under suspicion of terrorism. 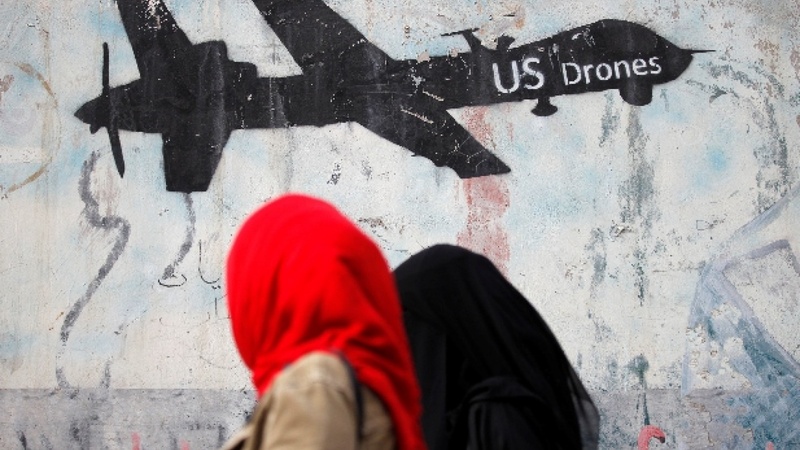 On September 30, 2011, drones sent by the CIA and Joint Special Operations Command flew into Yemen and bombed al-Awlaki and al-Qaeda propagandist Samir Khan. The case drew public criticism not only because al-Awlaki was an American citizen, but because several weeks after his death, another American drone killed al-Awlaki’s 16-year-old son, Abdulrahman. He was also a U.S. citizen living in Yemen. Normalizing the use of drones – both at home and abroad – is just beginning to coalesce into the new standard for American warfare and daily life. What can we do about this illegal, immoral, and dangerous warfare taken by the U.S government? Is there any way for the people to reverse the course? Derrick Broze is an investigative journalist and liberty activist. He is the Lead Investigative Reporter forActivistPost.com and the founder of the TheConsciousResistance.com. Follow him on Twitter. Derrick is the author of three books: The Conscious Resistance: Reflections on Anarchy and Spirituality and Finding Freedom in an Age of Confusion, Vol. 1, Finding Freedom in an Age of Confusion, Vol. 2 and Manifesto of the Free Humans.